If you’ve ever considered setting up a self-service kiosk solution, the chances are your mind’s eye pictured a one-stop-shop type kiosk offering a single point where a customer can go to pay all their bills. 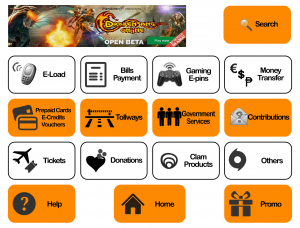 A service like this is an attractive prospect for end-users who invariably crave convenience and would immediately be drawn to a kiosk which offered all the bill payment options they required. Unfortunately once you start trying make this dream a reality you come across the fact that providing even a single bill payment option is both costly, time consuming and generally hard work. You start by approaching your preferred billers to offer them the chance to feature on your new self-service bill payment kiosk. Some of them might be interested, but many of them would either not understand the value proposition or would not even give you a 10 minute meeting to present your proposal. Having come through the negotiations and technical discussions you will then approach your kiosk software developers and pay them a fee to create the bill payment kiosk application and integrate the kiosk software with the biller’s API. Now there is no real problem with this process per se. A project like this is highly achievable and indeed the Genkiosk software development team successfully delivered bill payment kiosk software to many different customers using these methods. However to go through the same thing 20 or more times to get all of your target billers onto your bill payment kiosk platform could make your business model unviable. The great news is that many governments around the world have observed this problem and devised their own solution. Countries such as India, Saudi Arabia and the Philippines have commissioned centralised bill payment platforms to which all billers of any kind can connect. This revolutionary way of processing bill payments offers kiosk software providers the opportunity to make a single connection that will open up access to hundreds of billers. 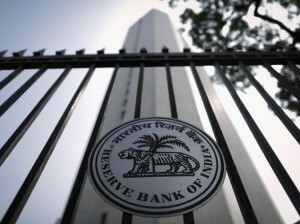 As an example of this The Reserve Bank of India has just launched their new Bharat Bill Payment System, having recognised the issue for bill payment service providers: “There is a need for an integrated bill payment system in the country that offers interoperable and accessible bill payment services to customers”. As more countries adopt a centralised system for bill payments, kiosk operators have a fantastic opportunity to offer the kiosk software they have always wanted, but at a fraction of the cost and effort. Running bill payment kiosks in these countries has just become much more sustainable.